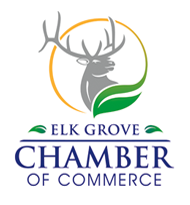 The Elk Grove Chamber of Commerce issued several endorsements today including one for the highly watched and competitive Elk Grove Mayoral race and California's Seventh Congressional District. Earning the endorsement in the seven-candidate field for Elk Grove Mayor was Elk Grove Planning Commissioner and local business owner, Kevin Spease. In issuing the endorsement, the Chairman of the Chambers' Political Action Committee Oscar O'con pointed to Spease's small business experience. "Kevin Spease is a real businessman and the clear choice to create and drive jobs to Elk Grove,” O’con said. For Spease, this is the second major endorsement he received in recent weeks. Before this, Spease earned the highly coveted support of the Elk Grove Police Officer's Association. That endorsement created controversy when rival candidate Elk Grove Mayor Steve Ly accused the police officers in the pages of the Elk Grove Citizen of a backroom deal. Ly, who said he was never interviewed by the POA, was subsequently censured by fellow City Councilmen Steve Detrick and Darren Suen who characterized his comments as harmful to Elk Grove Police officers. In other notable endorsements, the Chamber gave its seal of approval to Sacramento County Sheriff Scott Jones in his bid to unseat incumbent second-term Congressman Dr. Ami Bera (D - Elk Grove). As it was in 2012 and 2014, this year's race between Republican Jones and Bera is expected to be not only one of the country's most expensive; it is expected to be decided by the narrowest of margins.